My husband and I used to be avid bicyclists all throughout the trail system here in Calgary (in Alberta, Canada). Sometimes we would be out and about for the whole day, putting on as much as 50 km (31 miles). Mostly this was back in ‘83 to ‘88. Then we bought a house. The trail system wasn’t as good in that neighbourhood. As a result, we only went sporadically over the following years. Then in 2006, I had an idea about someday getting myself an adult tricycle. That way I would not have to worry about my lack of balancing skills – especially when you have to do a shoulder check (scanning over your shoulder without making the bike swerve). But because we were then living in apartments, storage was an issue. My dream of getting a trike never came to fruition … until this year! My husband was diagnosed with stage IV colorectal cancer in March 2015. He died April 1, 2016. It has been pretty rough. We had been together for 37 years. I have also been dealing with my own kidney failure since August 2013, and I do peritoneal dialysis every night for 8-9 hours. The waiting list for a transplant in our province is 6-8 years, so I have a ways to go yet. With my husband’s passing, I wanted to start doing things that would get me outside more often and be more active. I also wanted to do something to keep me busy for our wedding anniversary and my birthday, which were coming up on June 30. So I came up with a grand idea that if I could find a “folding” trike, I could then store it in the back of my car. And that is exactly what I’ve done. I wasn’t able to find such a trike locally, so I had to mail-order one and put it together. On my very first ride, I drove down to the area of the city where my husband and I used to live back in ‘86 and ‘87. Talk about a trip down memory lane! Within seconds of riding my trike, I felt like I was 32 years old again – whizzing down the tails we used to ride with wind blowing through my helmet and hearing the birds singing and chirping along the way. The freedom I felt at being able to ride again … was fantastic! Then tears came to my eyes because my husband wasn’t here to enjoy this with me …. But as I was heading back to the car after about an hour of riding, I noticed in big letters written in chalk on the asphalt trails the words Love U. I knew then that my husband was there in spirit. I felt that he was so proud and happy that I had finally managed to get my trike and that I will enjoy many more great rides. Deb Angus (survivor)…Well, look at what I’ve just done. I bought me a trike! And, I even assembled it. I’m hoping to take it out on its first ride tomorrow – it’s too late now. (I’ve been at it from 3:00 to 7:00 pm, including a jaunt to Canadian Tire to buy nuts and bolts for the front fender. Aaahhhh, quite the accomplishment! And, the best thing is that this is a folding trike. So, I’m hoping I’ll be able to store it and also transport it in my hatchback with no problem. It was fantastic! I love my trike. I love being out on the trails again. I love the wind blowing through my helmet, hearing the birdies along the way, and stopping to photograph scenery and flowers. It was a great success all in all. I’m sure my legs will be killing me in the morning. It’s a good thing I have a hot stone massage booked soon. Here are the pics to show my efforts. Michelle Markey (survivor)…Michelle says that she is trying to beautify her apartment with her creations. She crocheted this purple doily with crochet cotton, size 10. Michelle says that she is so pleased that she finally finished a project. It took a long time, but it was worth it. Lee Staniland (survivor)…I fought like a bull to get my husband to see the surgeon for the nerves being pressed in his back. The office wanted us to see the surgeon on July 6. I fought until I got it scheduled for last week. It was with the surgeon’s partner, but it is done. I finally did it! James Stroehlein (survivor)…I began driving again two years after my car accident and TBI. It’s been fourteen years, but I only drive in my small town. It still makes me nervous. But I do it! Most rear-end collisions are caused by distracted drivers or drivers following too closely to the car ahead. In either case, it is the unsuspecting driver in the car ahead who may suffer whiplash, which may result in a variety of injuries such as problems with light sensitivity, depth-perception problems, tinnitus, memory problems, concentration, and balance. 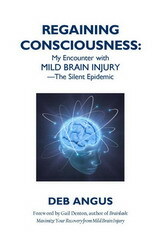 Deb Angus, brain injury survivor and author of “Regaining Consciousness: My Encounter with Mild Brain Injury–the Silent Epidemic,” will share her story about how she and her husband were sitting at a stoplight and how a distracted driver changed her life forever. If you missed her interview on “Another Fork in the Road” on March 1st, you are in luck. You can listen to the archived show here. Click the link below to listen to Deb Angus, and me. 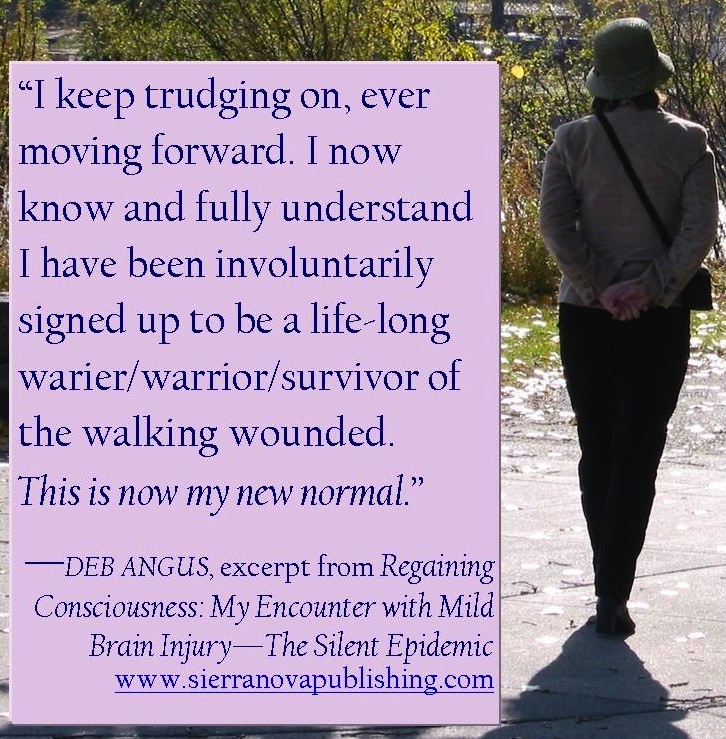 “Regaining Consciousness: My Encounter with Mild Brain Injury--the Silent Epidemic"
Why: Deb will talk about her life with brain injury. We were rear-ended at a red light by a distracted driver. It was realized I had a brain injury about one week afterwards. 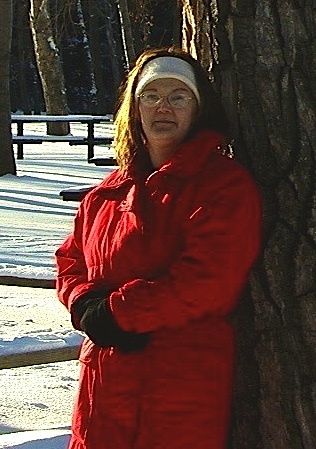 My rehab was all outpatient: physical therapy, January-March 2002; vestibular therapy, March-April 2002; occupational therapy, April-May 2003; and speech therapy, May-June 2003. I have light-sensitivity (pain from bright sunlight, photo flash, strobe lights, etc. ), double vision, depth-perception problems, tinnitus, pain from loud noises, speaking problems (word-finding, stuttering, and stammering), memory problems, concentration and attention problems, a balance problem and dizziness, left-side weakness, sleeping problems, and spatial-coordination problems. I had constant debilitating head pain for the first three weeks and shooting head-pains from August 2001 until about 2010, which have dissipated quite a lot over the years. They still occur once in a while, but they’re much milder than earlier in my recovery. In 2005, I developed an extreme sensitivity to perfumes and colognes. It started as the result of olfactory and trigeminal nerve damage. My life is worse. I cannot do many activities anymore (e.g., riding a bicycle or ice-skating). Parties, large crowds, and loud noises are difficult or impossible. Light-sensitivity is still an ongoing issue. It affects my driving, watching certain movies and TV programs, and attending certain events. I miss the spontaneity – just going out and doing whatever whenever. I have more compassion and understanding. I’m more aware of concussions and their impact on brain health. I realize our fragility in life. I have been helped by time, a lot of inner work on acceptance, and learning about TBI. Many people have given up on me; good friends have stood by me; many more new friends have entered my life. Only I and my husband are here – I have no contact with my family back east. It wasn’t until halfway through my rehab that I realized what a brain injury was and how much it had affected me. I was then able to recognize the symptoms in my husband when he was rear-ended at red light by a drunk driver in ’92. He was never diagnosed. He hasn’t worked outside the home in 22 years. His injury is more depressive than mine, and he dislikes being around people now. I don’t go out as much as I used to. A small circle of friends, who understand what I’ve gone through and what I still contend with, invite me out for lunches, etc. No more drinking; no more music events; no large-crowd events, like the Calgary Stampede or fireworks. My caregiver is just me, my husband, and patience. I still continue to work full-time. 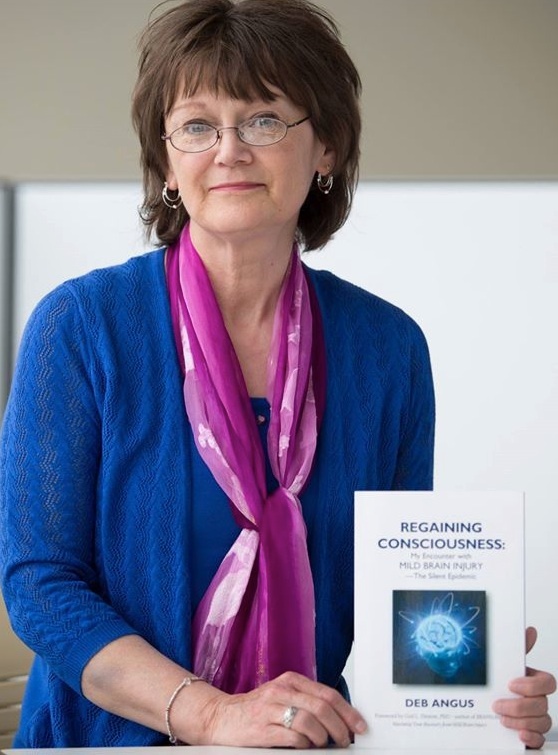 It took 10 years of writing and research, but I finally published my book on mild brain injury in 2014. I am now out delivering talks on concussions and brain injuries to raise awareness. I’m hoping to be able to retire in next 3-5 years and to concentrate more on promoting my book and delivering talks. 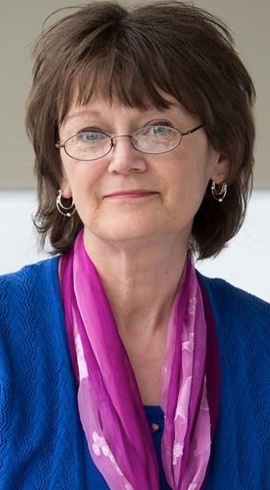 I’m hoping that this work will help change the paradigms in the medical, legal, and insurance industries for recognition of these injuries, the recovery process involved, and the fact that many survivors need support for employment, housing, and medical issues that may crop up due to TBI – especially as we age. I wish I would have known how easily concussions occurred and that repeated concussions lead to permanent brain injury. And to deal more effectively with stress, which can wear the body and spirit down to dust. I am currently dealing with kidney failure due to a rare autoimmune response to a virus. My general practitioner is convinced that this occurred because of the stress I’ve endured working through brain injury, having a job that was uncertain from year to year, and having to move six times in four years, due to problem tenants, a rodent problem, and a job transition in 2012. Be patient with yourself. Be gentle and nurturing with lots of self-care. Keep strong, be determined to improve, and be willing to explore all kinds of healing modalities. Keep trying to find the right doctors and the right therapists who will listen to you and help you. 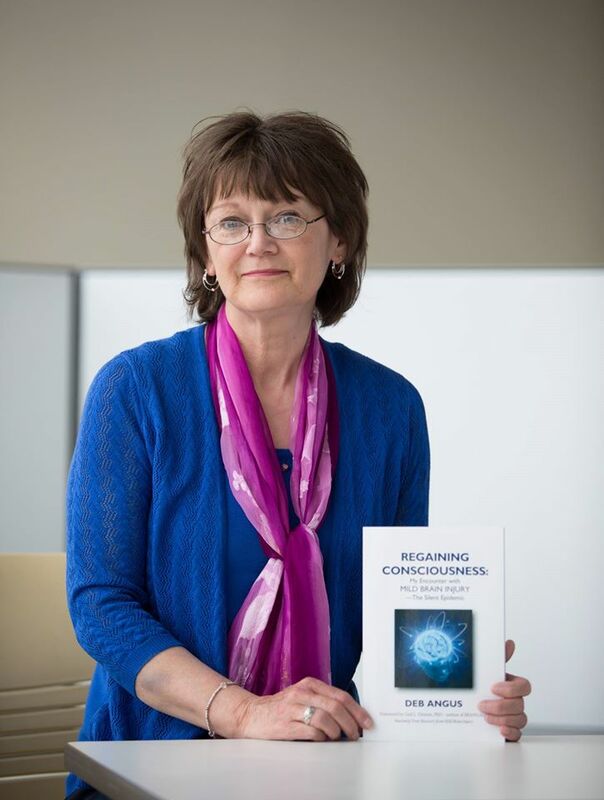 Thank you, Deb, for taking part in this interview. I hope that your experience will offer some hope, comfort, and inspiration to my readers.